← Is The Bar Too High? As of today in the United States every man, woman, and child’s share of the national debt is $45, 782. If that’s not mind-numbing enough, it gets better. The share per taxpayer is $128, 205. That’s almost as much money as Charlie Sheen blows in one weekend. In November we sent a lot of these fiscally retarded politicians packing, replacing them with new blood who may actually do something useful. Some of those in Congress who managed to avoid being replaced took notice of what the people were saying. Others are acting oblivious to not only the voters, but oblivious to reality itself. Nevada senator Harry Reid is the chief of the Oblivion tribe. This week Harry stood on the floor of the Senate and defended deficit spending for that necessity of life that simply cannot be cut from the budget – cowboy poetry! A remote island where we can exile stupid politicians and see how long they can survive without tax dollars. An impregnable Wall of Death on our border. Research to develop mutant flying pig hybrids, that way we can have duck season AND bacon season! Over-the-top elaborate traps, like from the “Saw” movies that force Harry Reid to choose between an awesomely spectacular death or chewing his own arm off to escape. Education camps where we can send liberals to learn the Constitution, that nagging little document they should’ve learned about in school instead of smoking pot and reading about Karl Marx and Che Guevara. Now who would honestly rather listen to cowboy poetry than watch chicks in wet t-shirts shooting flying pigs while scarfing down government-funded hot-wings over a cold beer? Harry is not only out of touch with reality, but he also lacks imagination and ambition. Harry wants us to believe that cowboy poets will cease to exist (we can only hope) without big government. How did cowboys write and recite poetry before politicians funded them with money confiscated from the public? If it’s as popular as Harry Reid says then it will survive in the private sector where it started in the first place. I’ve always been somewhat skeptical of aliens visiting Earth. Even though I witnessed first-hand a flying disc in 1980, I’m not convinced it was extra-terrestrial in origin. Physics doesn’t support the possibility of travelling at light speed (objects gain mass as they speed up, and that speeding up requires energy. The more mass, the more energy is required. By the time an object reached the speed of light its mass would be infinite, and so would the amount of energy required to increase its speed…., yada, yada) But Harry Reid gives us cause to reconsider: Harry is from Nevada. Do you know what else is in Nevada? Area 51. It’s been long rumored that Area 51 houses a spacecraft and the bodies of aliens that were recovered from a crash. I think a spore from one of these aliens survived and took over the body and mind of Harry when he was a youngster, then it slowly spread throught the state over the years so that now over half the voters are under this other-wordly influence. How else do we explain Harry’s re-election to the Senate? These aliens came from the planet Libertopia, whose inhabitants ruined the planet with their socialism. So forcing the last remaining capitalists to build them a workable spacecraft, they departed for Earth, intent on taking our resources since they were no longer willing or even capable of efficiently using their own. But the mission ended in failure, as all socialist experiments do. Harry reminds me of Ray Walston from “My Favorite Martian”, antennae pop out of his head when no one is looking. If he could he’d beam money from your wallet to his pocket, but he can’t, so he became a Democrat instead. Next best thing. 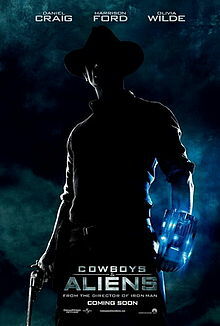 Hey, when does that movie “Cowboys and Aliens” come out?